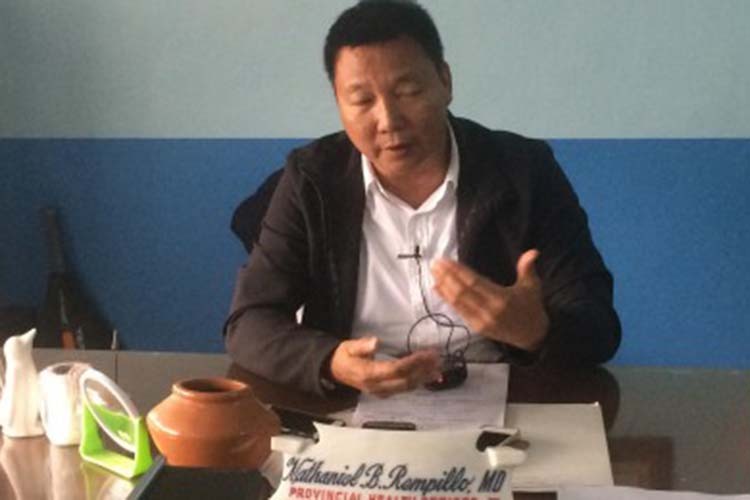 LEGAZPI CITY — Albay Governor Al Francis Bichara is facing charges of grave abuse of authority and grave misconduct before the Office of the Ombudsman for his refusal to reinstate Dr. Nathaniel Rempillo, former chief of the Albay Provincial Health Office (PHO). Rempillo, in a press conference on Tuesday afternoon, said he filed the charges due to his relief as chief of the PHO and transfer to the newly created Provincial Health Care Development Committee (PHCDC) on June 9, 2017. He claimed that the order for his transfer was issued on June 9, 2017, but the PHCDC was only created through an order issued four days later on June 13. Despite this, Rempillo said he obeyed the reassignment order to head a non-existent committee with no personnel to work with. He told media that he doubted the motive of the reassignment but still followed the governor’s directive, believing that it was for the interest of the service. He said that he readily functioned as head of the PHCDC, without availing of his right to appeal his reassignment before the Civil Service Commission (CSC). Rempillo said while performing his duties, he was not allowed to collect the PHP17,000 monthly Representation and Transportation Allowance (RATA) and the PHP1,500 cell phone load that he deserved to receive as Provincial Health Officer III. As his reassignment order ended on June 9, 2018, as prescribed by the CSC, he said he wrote a letter to Bichara about his readiness to return to his post. According to Garcia, Bichara has readily answered all the complaints slapped against him by Rempillo and the governor is hoping that the charges would immediately be resolved by the Ombudsman. He said Bichara noticed Rempillo’s alleged failure to accomplish his assigned task to prepare a program and projects plan for the PHO. “He was not able to perform and deliver what was expected of him. His transfer was to look for somebody to perform the task given by the governor,” Garcia said. Dr. Antonio Ludovice replaced Rempillo as PHO officer-in-charge.